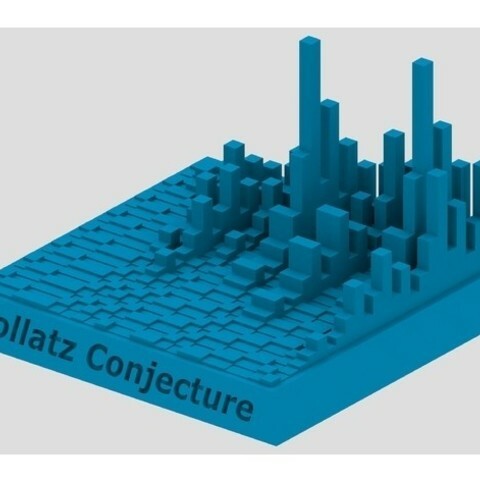 Three Statements and one question: Will every number reach 1 after countable many steps? 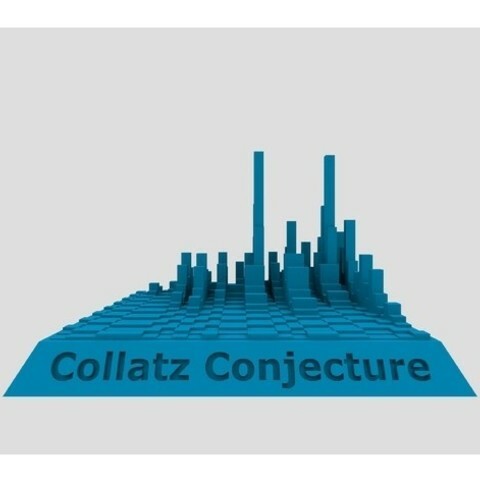 This simple Problem, which in fact just seems to be simple although it isn´t is better known as "Collatz Conjecutre" or "3n+1 Problem". While nobody knows the answer to the question above, I am actually not interested in the solution of the problem (I mean - of course I am but as I´m not able to solve it, I won´t even try) so I took a look at the first 25 numbers and build a pretty 3D object out of them. 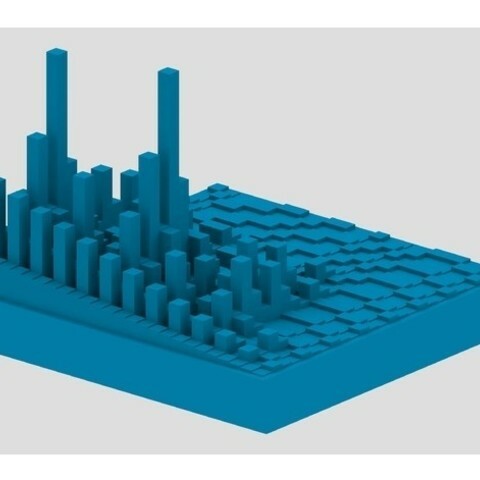 Every block represents a number, depending on it´s hight. That means that a block with 0.3mm is the number one, while a block with 3mm hight stands for number 10 and so on. If you start at the backside of the object, you see the numbers 1 to 25. Each row now shows you 24 iterations of every of these numbers - e.g. for the first one: 1,4,2,1,4,2,... While this sequence is quite boring, some are more interesting and all in all, the object looks quite nice! 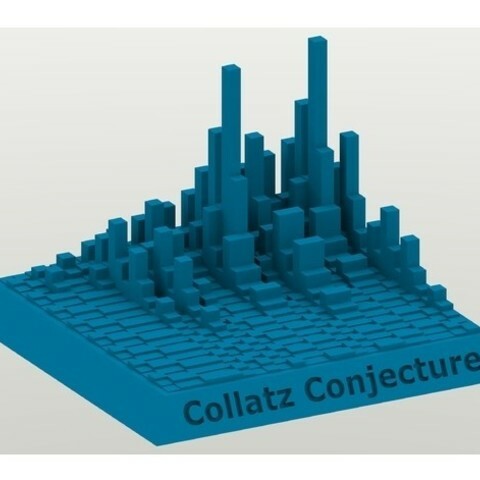 If you want to have the same objects with more numbers and more iterations, please let me know, I´m ready to design your wishes of the Collatz Conjecture!